As part of the nationwide Network Rail Access For All programme to improve accessibility at train stations, VEDA Associates were appointed by Spence as lead designer to deliver the GRIP 5 multi discipline detailed design at Blackhorse Station. 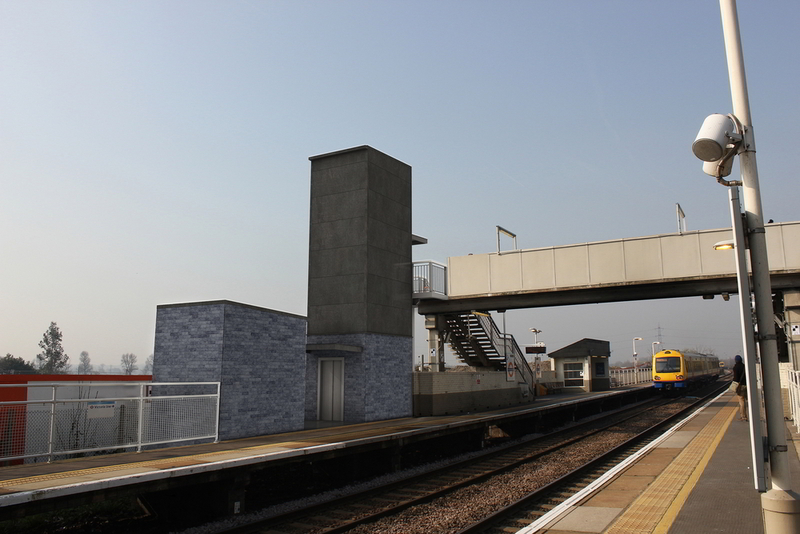 The scheme involved the proposed part removal of the existing non-compliant precast concrete high level access walkway from the existing LUL station and the design of a new 1:20 DDA complaint steel walkway, which was to provide access to the existing over bridge. The scheme also involved the implantation of two lifts, one on each platform, which again is to provide step free access to the existing overbridge. The design engaged the following disciplines; Civil, Electrical, & Telecoms. VEDA provided the design CEM and CREs for each of the disciplines that involved our supply chain for the electrical, and telecom designs. VEDA instructed the surveys and engaged the GI contractor to determine the soil stratigraphy, for the design of the foundations to the new access walkway way and platform lifts. Due to the location of the LUL Victoria line, only 9 metres below existing ground level to the top of the tunnel and the exclusions zones implemented by LUL, shallow RC pad foundations were proposed for the high level access walkway and lift structure on platform 2, to ensure the allowable ground bearing pressure was not exceeded and the exclusion zones were not impacted. VEDA also engaged all relevant stakeholders to ensure the proposed scheme was accepted and complied with all company and group standards.